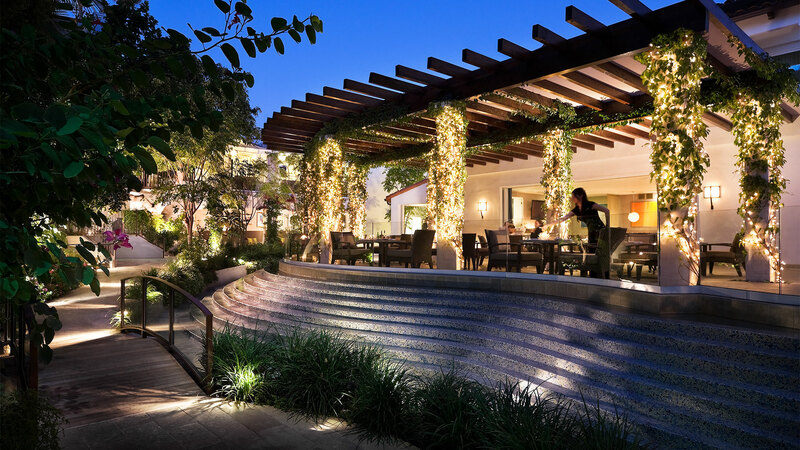 Chris Turano has joined James Beard award-winning Chef and Restaurateur Michael Schlow to bring beautiful market fresh cuisine to culinary enthusiasts at Cavatina located inside the legendary Sunset Marquis hotel in west Hollywood. Turano, brings more than fifteen years of experience in independent and corporate restaurants, private clubs, hotels and resorts, including over twelve openings. A culinary craftsman, he focuses on local seasonality, classical technique and modern influence. Turano will be Executive chef to Michael Schlow who developed the original concept for Cavatina, his first West Coast venture. Both chefs will collaborate to bring exciting new menu changes to Cavatina over the coming months. Sunset Marquis’ General Manager, Rod Gruendyke, is excited to see Turano’s culinary talents thrive at Cavatina as the new Executive Chef. “We are delighted to have Chef Chris’ unmatched passion and enthusiasm for cooking at Cavatina. His fresh approach to each dish promises to bring a renewed excitement to this iconic, legendary property,” Gruendyke said. Together the two chefs create magic daily with such tasty dishes as grilled cuttlefish with olive oil poached tomatoes, fennel and pine nuts; duck and green chili hash with poached eggs and chipotle hollandaise; loup de mer with mussels and cauliflower; and slow roasted lamb with winter vegetables and polenta. Prior to joining Cavatina, Turano served as Executive Chef at The Garland in North Hollywood, where he led operations during a $20 million renovation to revitalize the food offerings of the historic hotel. During his tenure, Turano crafted the three meal-a-day restaurant, lounge, pool, in-room dining and pool offerings. His efforts resulted in recognition by Conde Nast and Tripadvisor for highest guest satisfaction throughout all of Los Angeles. From 2013 to 2015, Turano served as Chef de Cuisine at the renowned Bacara Resort & Spa in Santa Barbara where he utilized the area’s bounty to create an identity for the resort’s restaurant, The Bistro. Turano began his career studying under Food & Wine’s Best New Chef of 2001, Ted Cizma, at Elaine Restaurant in Chicago. He then went on to hold various executive roles at premier Chicago dining establishments including The Chicago Firehouse, ESTATE Ultra Bar and Crowne Plaza Chicago Metro Hotel where he led all food service operations, bolstered guest satisfaction and spearheaded special events. Having opened over 10 restaurants in his career, Turano’s notable successes include re-opening the Quadrangle Club at the University of Chicago and the launch of Glen Prairie, named one of the top 20 restaurants in 2009 by Chicago Magazine. No stranger to the public eye, Turano also competed on and won the Food Network’s show, “Chef Wanted,” in 2013. Turano is a graduate of the College of DuPage and also holds a Court of Master Sommeliers Level 1 Certification. Cavatina is open for breakfast, lunch and dinner, seven days a week. For more information visit http://www.cavatinala.com. Centrally located between Beverly Hills, Hollywood, downtown Los Angeles and the beaches, and mere steps from the world famous Sunset Strips, Sunset Marquis Hotel in West Hollywood, CA offers 152 newly renovated luxurious suites and villas intertwined within a 3.5-acre oasis of gardens and private retreats. Since opening its doors in 1963, the hotel has served as a home-away-from-home to rock legends, filmmakers, writers, actors and discerning guests from around the world. It features indoor and al fresco dining in its world-class restaurant, Cavatina, two heated outdoor pools, the iconic BAR 1200, and a full-service spa that’s open to local and out of town guests. Additional guest amenities include NightBird Recording Studios, home to numerous Grammy winning artists, and Morrison Hotel Gallery, featuring a collection of some of the most renowned celebrity photography, of which more than $1 million worth lines the walls and corridors of Sunset Marquis.